Mr Ketut Budi Wijaya was appointed as Non-Independent Non-Executive Director on 1 June 2015 and as Chairman on 30 September 2017. He is a member of the Nominating and Remuneration Committee. Mr Wijaya has more than 30 years of in-depth expertise in accounting and corporate finance. During his career, he held various executive and directorship positions within the Lippo Group, including PT Matahari Putra Prima Tbk, PT Multipolar Tbk and PT Bank Lippo Tbk. He had also previously worked for Darmanwan & Co. Public Accountants and PT Bridgestone Tire Indonesia. Mr Wijaya is currently the President Director of PT Lippo Karawaci Tbk, the largest listed property company in Indonesia by total assets and revenue with a highly focused, unique and integrated business model stretching across urban and large-scale integrated developments, retail malls, healthcare, hospitality, property and portfolio management. Mr Wijaya graduated with an academy of accountancy and continued study at Sekolah Tinggi Ekonomi Indonesia in 1982. 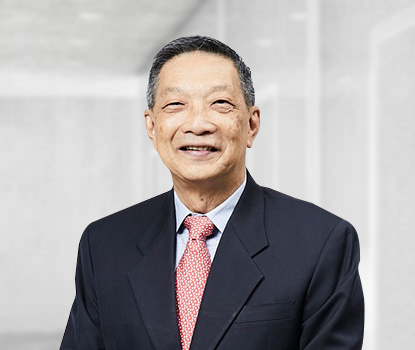 Mr Douglas Chew was appointed as Non-Executive Director on 4 August 2011, as Independent Director on 26 November 2013 and as Lead Independent Director on 30 September 2017. He is the Chairman of the Nominating and Remuneration Committee and a member of the Audit and Risk Committee. Mr Chew is currently a board member of the board of governors of SymAsia Singapore Fund, part of SymAsia Foundation Ltd (SymAsia). SymAsia is an umbrella philanthropic foundation which is a wholly-owned subsidiary of Credit Suisse. He is also a member of the Investment Review Committee of SymAsia. Mr Chew has extensive experience in general management, business strategies and risk management. From 2010 to 2012, he was the Regional Manager at the Asia-Pacific Regional Office of Raiffeisen Bank International AG (formerly known as ZB-Austria), where he was responsible for risk management, financial controlling, compliance, audit and human resources. He kick-started his career as a Credit Officer at ABN Bank in 1977, where he was responsible for credit analysis and evaluation. From 1979 to 1984, he was an Account Manager at the Bank of Montreal, where he was responsible for the development and maintenance of a sound and profitable loan portfolio. From 1984 onwards, he served as a Manager of the Michigan-based Chemical Bank in Singapore where he was responsible for business development of corporate and trade businesses. In 1988, he was appointed as the Assistant General Manager of Banque Worms where he oversaw the business strategy and management of risks at the Singapore Branch. He served as the General Manager of RZB-Austria Singapore Branch and was involved in the bank’s general management from 1997 to 2005. Mr Chew holds a Bachelor of Business Administration from the National University of Singapore. Mr Lee Soo Hoon, Phillip was appointed as Independent Director on 4 August 2011. He is the Chairman of the Audit and Risk Committee. 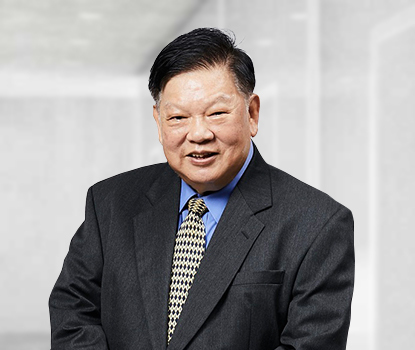 Mr Lee is the Managing Director of Phillip Lee Management Consultants Pte Ltd. Prior to this, he was a Partner at Ernst & Young from 1978 to 1997. Mr Lee's areas of experience include audit, investigations, reorganisations, valuations and liquidations. Mr Lee is a Chartered Accountant of the Institute of Chartered Accountants in England and Wales. He is also a member of the Institute of Singapore Chartered Accountants, the Malaysian Institute of Certified Public Accountants, the Malaysian Institute of Accountants and Singapore Institute of Directors. He has also received awards for his community work, including the UK Order of St John in 1998, the Singapore Public Medal in 1998 and the Singapore Public Service Star in 2007. Mr Goh Tiam Lock was appointed to the Board as Independent Director on 27 September 2011. He is a member of the Audit and Risk Committee and Nominating and Remuneration Committee. Mr Goh is currently the Managing Director of Lock Property Consultants Pte Ltd., a position he has held since setting up the practice in 1993. The firm has an estate agent licence from the Council of Estate Agency for which Mr Goh is the Key Executive Officer. Besides estate agency, Mr Goh also advises clients on real estate taxation, development charges and management issues. Mr Goh served as a member on the Strata Titles Board from 1999 till 2018. 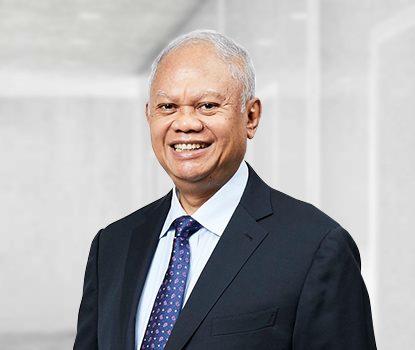 He is a Fellow of the Royal Institution of Chartered Surveyors, a Fellow of the Singapore Institute of Surveyors & Valuers and its President from 1986 to 1987, as well as a Fellow of the Singapore Institute of Arbitrators and its Vice President from 1985 to 1987. 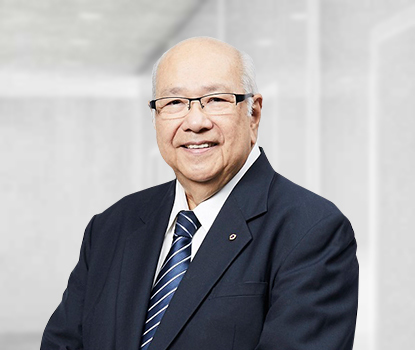 Mr Goh held the position of Property Manager in Supreme Holdings Ltd. before joining Jones Lang Wootton as a senior executive in 1974. 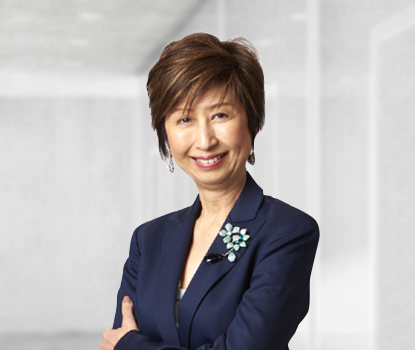 In 1976, he became a partner in MH Goh, Tan & Partners, the legacy firm of Colliers International, and retired from the firm in 1991. He was actively involved in community work, holding positions such as Chairman of the Marine Parade Community Club Management Committee from 1984 to 2001, and Master Mediator at the Marine Parade Community Mediation Centre. He is now a Patron of the Marine Parade Community Club Management Committee. Mr Goh has received several awards for his involvement in community service including the Pingkat Bakti Masyarakat (PBM) or the (Public Service Medal) in 1988, and the Bintang Bakti Masyarakat (BBM) or the Public Service Star in 1997. In 2018 he received the People's Association's Platinum Award for Community Service.